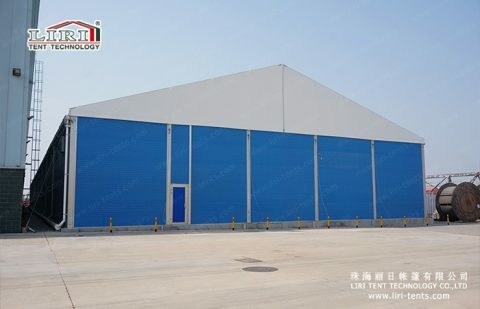 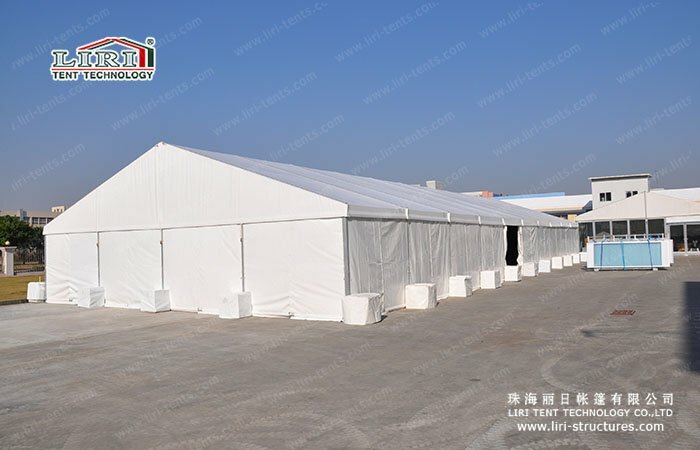 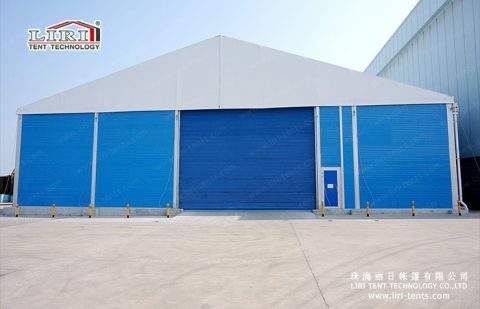 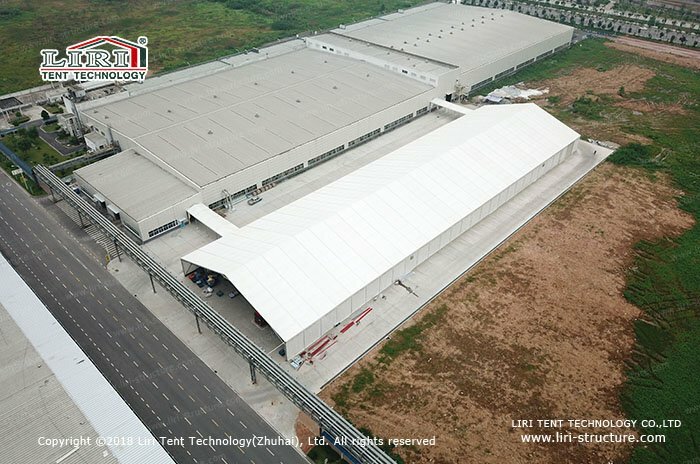 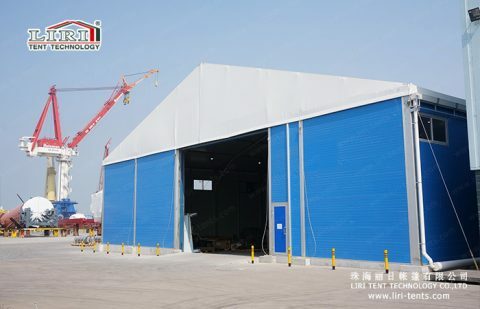 The new thermal insulation roof warehouse tent is the latest outdoor warehouse tent series from Liri Tent. 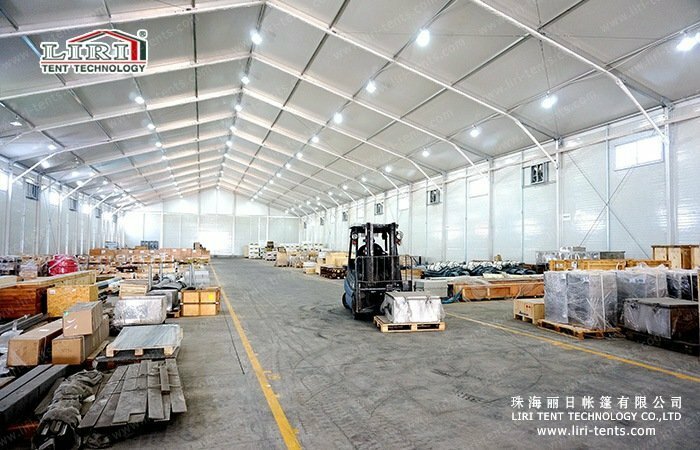 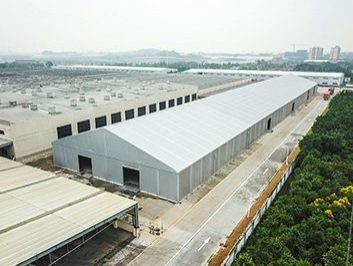 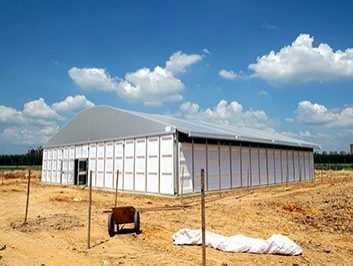 Besides the performance of the original warehouse tent, the thermal insulation roof can be good for heat isolation and snow loading. 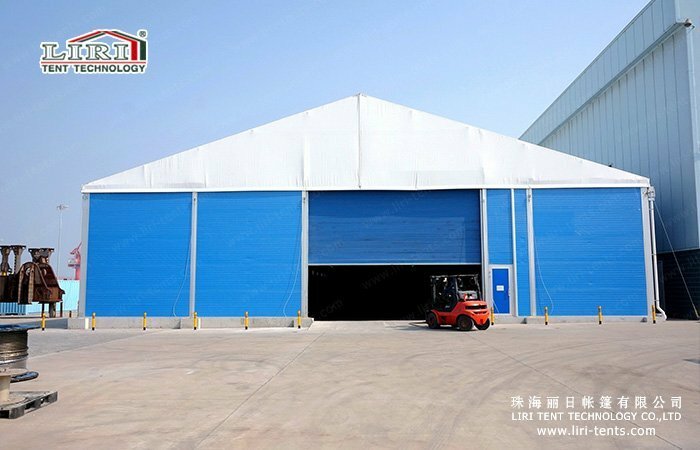 This product is the latest outdoor warehouse tent product. 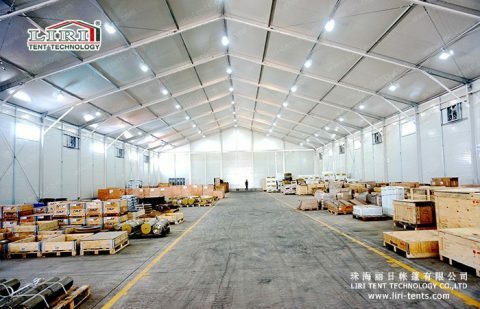 Short construction time: It takes 3 to 4 days to assemble a 1,000sqm outdoor warehouse tent. Materials are 100% reusable when moving to another area. 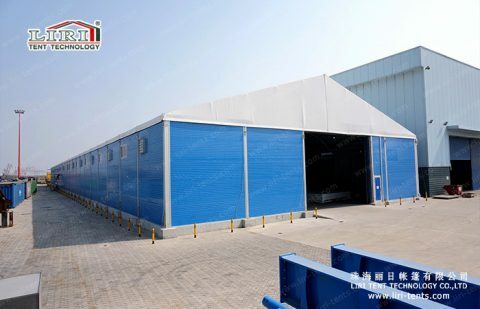 Wall system has options for a sandwich panel hard wall and PVC wall to satisfy different needs. The structure is able to extend to unlimited lengths. Rolling door system can be used for loading entrance for truck or forklift from four sides of the warehouse tent. 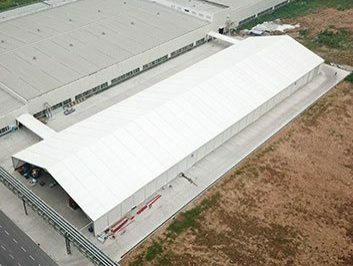 Roof cover uses 650-850g/m2 coated PVC polyester textile and flame retardant to DIN 4102 BI, M2. The volume of the whole structure uses little space for storage and transportation. 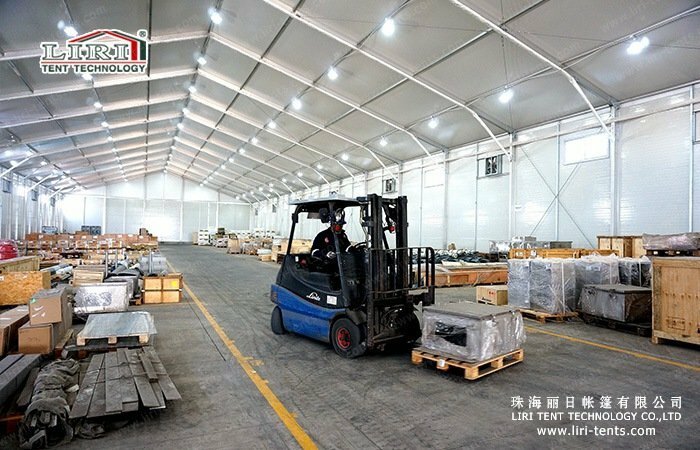 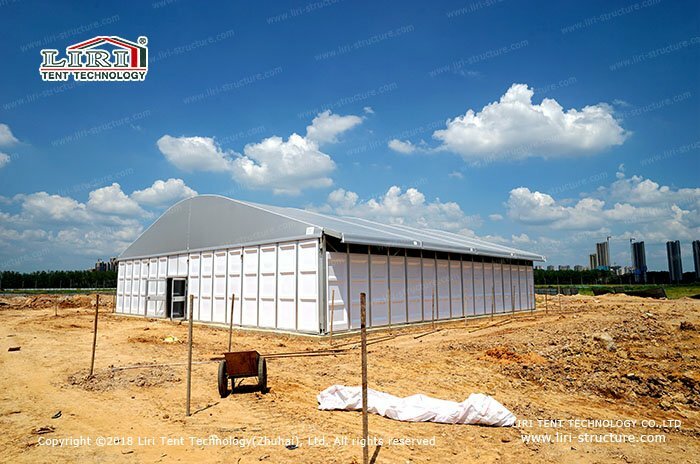 The thermal insulation roof outdoor warehouse tent is able to resist snow loading of three levels. 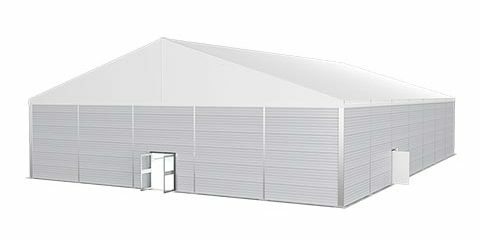 These levels include 25kg, 50kg, or 75kg, which can protect you from most of the weather conditions.